The sound of an approaching AT-AT walker was a weapon itself. 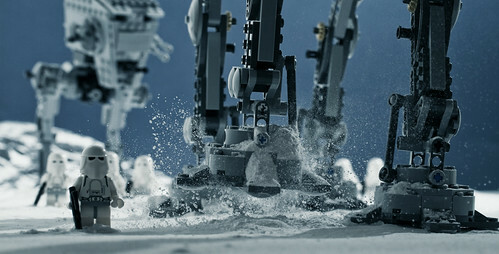 The heavy feet pounding the ground sending recognizable tremors kilometres ahead... During the assault on Hoth many of the snowtroopers marching along the mighty walkers froze from the horror. Some were stepped on by the walkers while standing still on their path.